Charlie’s Cheesecakes are handmade in our San Jose, CA bakery using All Natural Real California Cream Cheese. We offer 40 distinctive flavors including seasonal favorites, our 9″ Cheesecake serves 16. Charlie’s Poppers, the great anytime desserts are available in packs of 6, 12, 35, and 105. 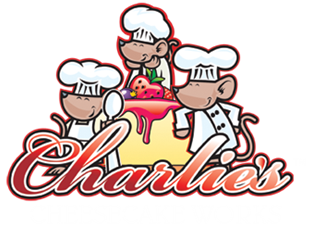 Copyright © 2012 Charlie's Cheesecake Works. All Rights Reserved.